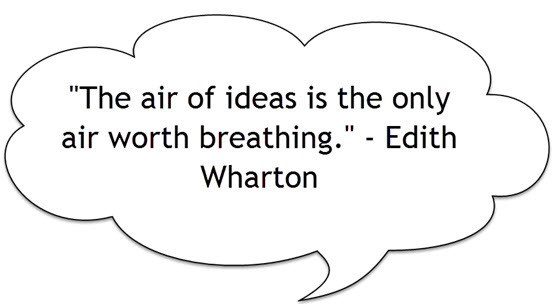 As a creative writer you will come up with far more ideas than you ever end up using. If you are a beginning writer having trouble coming up with ideas do not worry. This will change as you start thinking more creatively and start seeing stories everywhere. Story ideas are all around you. You just have to know what you need and think like a writer and a storyteller. People tell anecdotes and stories to each other all the time. Interesting true stories happen every single day. Once you start focusing your mind on looking for stories it will do the rest. When you find a great idea don't be afraid to use it for a short story instead of a novel. Alex Keegan explains why concentrating on short stories is wise for beginning writers. Your story can always be expanded later if you discover that there is more to tell. If you plan on writing a lot of short stories in your career you should not rely solely on your memory. You should take notes and develop a big collection of ideas. Smart writers carry a notebook around with them. This way you can record any story ideas you come up with before you lose them. You can also jot down interesting things you see or hear that could potentially become a story or part of a story. You can also record ideas using your smartphone or other recording device if you find this easier. At some point you will want to transfer your story ideas from your notebooks. Come up with a system to store and organize all your ideas. Maybe you want to use index cards for different ideas? Maybe you keep them all on your computer with a file for each idea? You will likely end up with many ideas and partly finished stories that you can turn back to later. A writer looking for mystery ideas should read the crime news. What if the story was different than the way it happened in the news article? What if someone else was the killer? A romance writer might search Google News for "love" or "dating" and see if they can come up with a fun idea by twisting news of what has actually happened into an entertaining romantic short story. Stories we have heard from friends and family members are often the tales we are most familiar with. There is probably a good story or two embedded in our own family history. You just have to make it fictional and tweak it so it will be interesting to your readers. Have you ever had something unique or interesting happen to you? This experience might make for a good story or part of a story. Think about how your character might react to this experience. Would they handle it differently than you did? Would it change them? A great thing about using your own experiences is that you may be able to write a story quickly if the meat and bones of the story are already in your head. Some writers like to write down bits of conversations they overhear on a bus, train, at a park or at a restaurant. Even if you don't use these conversations right away they might be useful later. Writing prompts are designed to spark your creativity. You find our prompts and links to more resources in our Writing Prompts section. Plot generators will automatically generate story ideas for you based on your inputs. Many of these ideas may not all be useful to you and some of them may be completely ridiculous. However, a few of them might work for your writing, especially if you are at a point where you are struggling for ideas. Having more ideas won't hurt you. Be sure to tweak the generated plot idea to make it original. If you open your mind and brainstorm you can come up with ideas for stories. It might help to use a word or phrase to start your brainstorm session. Scenery is known to be inspiring. Try a visit to a park, a garden or a zoo. You could also visit an art museum. Flood your mind with new inputs and sensations and see what comes out. Dreams tap into your subconscious and are unique to you. If you remember a particularly interesting dream you should write it down. It might lead to a compelling story. Dreams are a good reason to keep a notebook and pen on a table near your bed. They are articles and videos online about how to remember your dreams if you tend to not remember yours. You are probably already a reader if you are interested in writing. Don't neglect reading now that you are writing. It helps keep your imagination flowing.